South Africa's Crime Line has announced that human trafficking will be the focus of a 16 Days of Activism Against Abuse of Women and Children campaign. 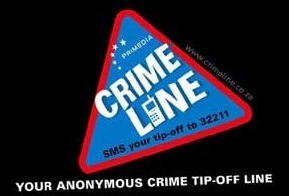 Crime Line is an anonymous SMS tip-off service that was launched in 2007 and allows citizens to text police regarding suspected crime. This year's campaign theme is "Don't Look Away, Act Against Abuse," and will last from November 25 until December 10. The theme was created at least partially in response to an anticipated increase in human trafficking during the 2010 FIFA World Cup, which will be held in South Africa. The spokesman for Crime Line, Yusuf Abramjee, stated that "It's time to break our silence. If you have any information on human trafficking, send your tip-off to Crime Line now to [sms line] 32211 or go to www.crimeline.co.za and the police will act." Great job! We need more campaigns like this to counter the evils of human trafficking.